It actually looks really pretty. Sony and Activision are pretty pally these days, and nowhere is that more evident than with Destiny; with Destiny’s first real major expansion due for later this year, Sony and Activision will be collaborating to bring us a new, limited edition, exclusive Destiny: The Taken King themed PlayStation 4. 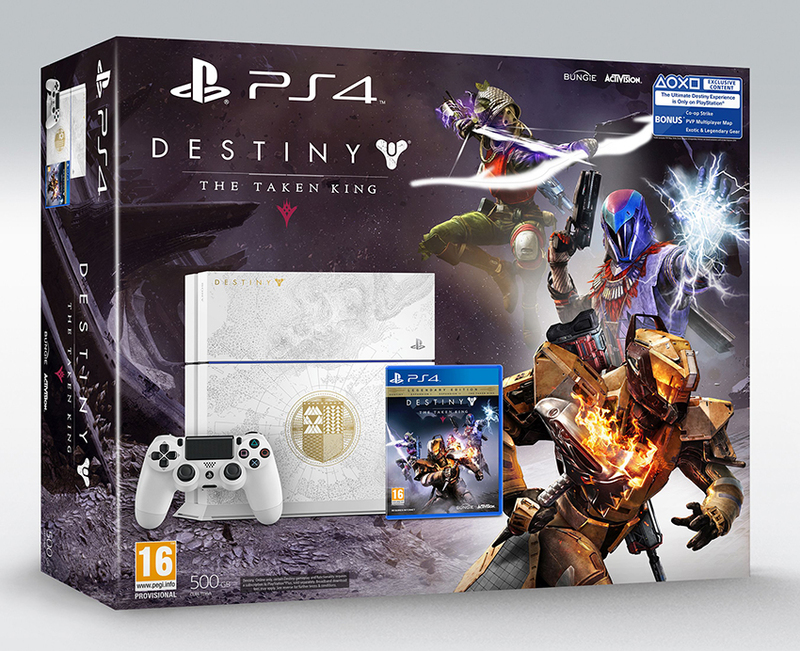 The package will include a white Destiny-inspired 500GB Limited Edition PS4 system and a physical copy of Destiny: The Taken King Legendary Edition, which includes Destiny, Expansions I and II, and The Taken King. You’ll also get an upgrade to the Digital Collector’s Edition, which includes the following content: three exotic Guardian class items with XP bonuses, three classic-specific emotes, three armor shaders, as well as the early access weapons pack. Of course, this isn’t the first Destiny bundle that PS4 has had, either- the white PlayStation 4 system was officially launched right alongside Destiny last year, for example. Destiny: The Taken King launches later this year. Stay tuned to GamingBolt for more coverage and information.